At the conclusion of Centre Gives, the Friends of the Pennsylvania Military Museum had a total of 53 donors who raised an incredible $5,580. This total is more than 5 times our record that we achieved last year during Centre Gives 2016. 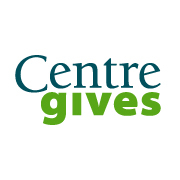 We are extremely grateful to our membership and fellow community members who came together to support us during Centre Gives. We also had a great team of volunteers who brought bright ideas and worked hard this week assisting with mailings & phone calls. The help of our donors, members, and volunteers makes our mission possible. We thank all of you for your generosity and support. RICHARD KOONTZ MEMORIAL LECTURE SERIES RESCHEDULED: "Uncivilized Barbarity: Maritime Events Leading the United States into World War I"
DATE/TIME: WEDNESDAY MAY 24, 2017 at 7:00 p.m.